CAMBRIDGE, Mass. -- Five years ago, President Barack Obama made an announcement that would drastically change the lives of up to 1.9 million young immigrants who moved to the United States as children. 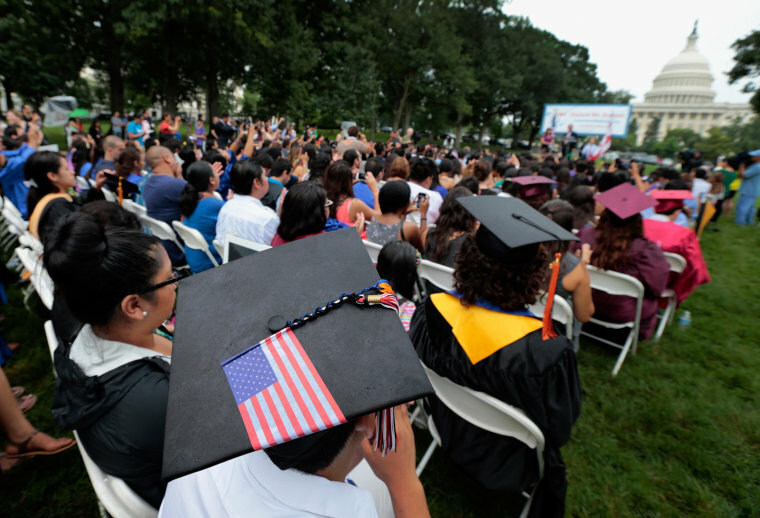 On June 15, 2012, the Deferred Action for Childhood Arrivals program (DACA) was born, temporarily deferring deportations and providing renewable two-year work permits for eligible undocumented youth. Today, nearly 790,000 young people have received DACA and, as a result, have experienced significant improvements in their mental health and well-being. The National UnDACAmented Research Project (NURP) is a multi-sited, longitudinal study which seeks to better understand how DACA is impacting the lives of eligible youth. We began with a large-scale survey, reaching 2,684 DACA-eligible young adults in 46 states and the District of Columbia. Our findings demonstrated that DACA was opening new educational and employment opportunities for recipients, improving individual lives and boosting local economies. Our survey also pointed to a significant improvement in our respondent’s well-being. DACA led to an overall decrease in stress, helping them to perform better in their jobs and in their studies. It also reduced fears. More than two-thirds of recipients told us they were less afraid of law enforcement and of being deported. Following this survey, we conducted in-depth interviews with 481 DACA-eligible young adults across urban, suburban, and rural settings in Arizona, California, Georgia, Illinois, New York, and South Carolina. In living rooms, on college campuses, and in coffee shops, we listened to folks’ worries and dreams, learning about the doors DACA had opened and the barriers that continued to block their success. Again, we learned that DACA had brought incredibly important benefits for recipients’ psychological well-being. Specifically, DACA 1) renewed recipients’ hope and motivation for their futures; 2) gave recipients a greater sense of belonging as valued and contributing members of our country; and 3) lessened recipients’ fears of authorities and the constant threat of deportation. RELATED: Was It Legal for ICE to Arrest Young Immigrant with DACA Status? “It’s that I can drive freely around, without having to worry. I can drive my dad to work. There was a time when my dad would probably spend a whole month in jail, from jail to jail to jail, simply because he was an undocumented driver going to work and back… I had basically my family on my shoulders… After I got my license, those fears completely went away." Over the last five years, DACA has had huge impacts on the emotional well-being of close to 790,000 young immigrants. With new opportunities for mobility and diminished stress, these young people have had the chance to improve their own life circumstances and the vitality of their communities. As current DACA beneficiaries renew their status, and as eligible youth apply for DACA for the first time, we will continue to see these young people make significant strides, benefitting themselves, their local communities, and the wider nation. Roberto G. Gonzales is Assistant Professor at the Harvard Graduate School of Education and the Principal Investigator of the National UnDACAmented Research Project. He is also the author of "Lives in Limbo: Undocumented and Coming of Age in America." Kristina Brant is a Doctoral Student in Sociology at Harvard University and the Project Coordinator of the National UnDACAmented Research Project.